In February 2013, Galloway Township Police Officer Brian Tennant filed a lawsuit against Galloway Township, Galloway Township Police Department, Chief Patrick Moran, Captain Allan Kane and Corporal Jerry Houck according to Court documents released by the Township in a Press Release to all media outlets. *Disclaimer* GallowayTwpNews.com has decided to release the lawsuit in full, however, we advise our audience that the lawsuit although a Public Document and can be accessed through an Open Public Records Request with the Township of Galloway or Superior Court, contains content including the details of racial slurs and reference thereof that could be disturbing. The lawsuit filed by Tennant in Superior Court contains multiple allegations of Racial Discrimination, Retaliation and Hostile Work Environment some of which date back to 2003. Tennant has been a member of the Police Department since November 2000 according to the court documents. Tennant claims he was subjected to numerous disciplines including an internal investigation on workman's compensation benefits the Township claimed he mistakenly received. Tennant was later cleared of the workman's comp investigation. Tennant was also removed from the Township's SWAT Team of which the Township indicated was due to budget cuts according to the court documents. *Updated* "It was extremely disturbing to read the details of the suit being brought against the Police Department and members of their Administration." Councilman Jim McElwee said in a statement issued today. 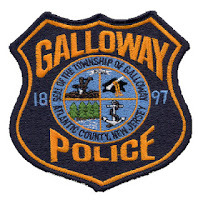 "While I prefer not to comment until after the complete story can be told by both plaintiff and defendants in a Court of Law, I remain a strong supporter of the Galloway Township Police Dept. and Chief Moran. It is my hope that people in Galloway will not try this case in the various Media outlets with uninformed anonymous comments that degrade both parties in this case. Let the Court decide the outcome and please don't rush to judgement against either party." On February 12, 2013 Galloway Township was served with a lawsuit filed in Atlantic County Superior Court, alleging discrimination, hostile work environment, retaliation, differential treatment, and violation of the Conscientious Employee Act. The suit names the Chief of Police Patrick Moran, Captain Alan Kane, Corporal Gerald Houck and the Township as defendants against the plaintiff Officer Brian Tennant filed by his Attorney Richard Stoloff. The lawsuit notes incidents dating back to 2003 and then alleges that several “retaliatory actions” occurred, which the Township disputes.